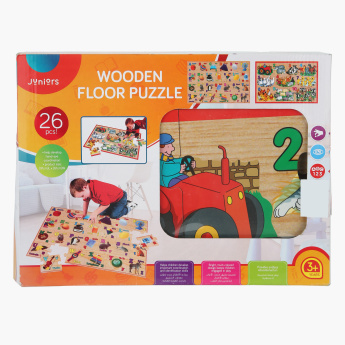 Juniors Number Floor Puzzle | Multicolour | Child can learn numbers from 1-10 in a fun and entertaining way. 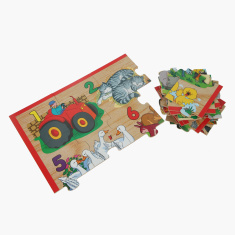 Make your child's learning experience fun with this number floor puzzle comprising of numbers from one to ten. The attractive colours and graphical elements will grab your child's attention and keep him engaged during the playtime. Made of a superior quality material, this puzzle is durable and offers lasting use. Feature 1 : Child can learn numbers from 1-10 in a fun and entertaining way.